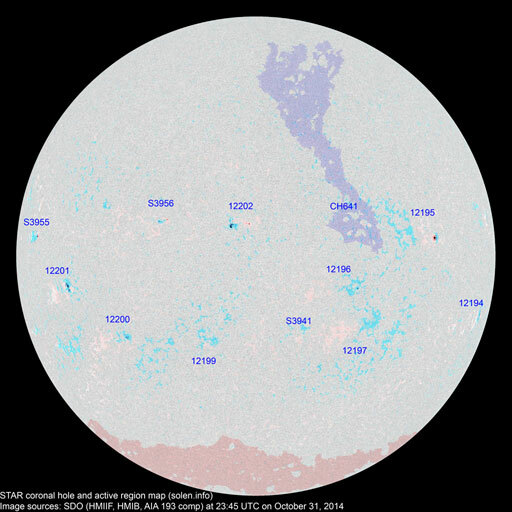 Last major update issued on October 7, 2014 at 03:45 UTC. 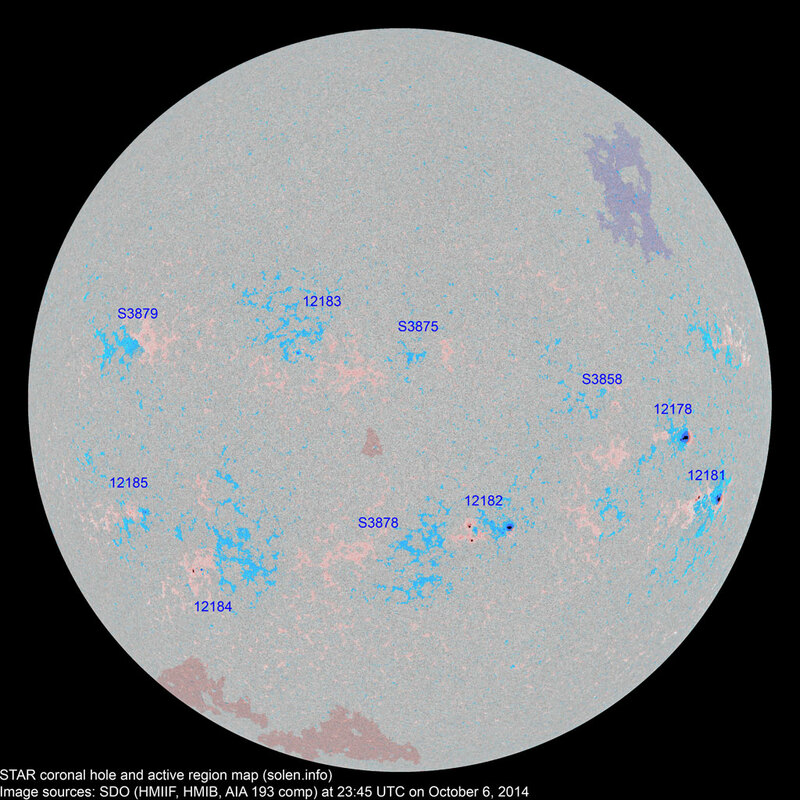 The geomagnetic field was quiet to unsettled on October 6. 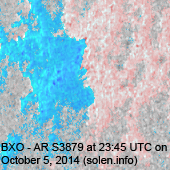 Solar wind speed at SOHO ranged between 372 and 453 km/s. 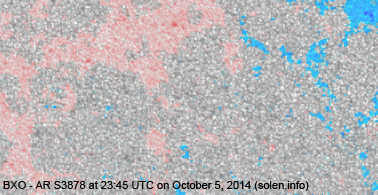 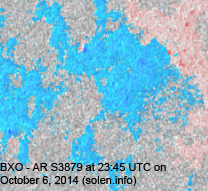 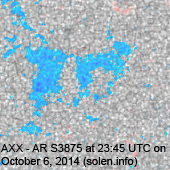 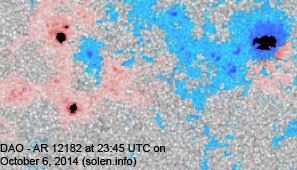 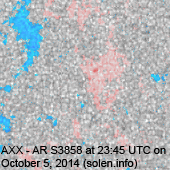 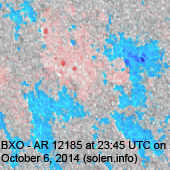 Solar flux at 20h UTC on 2.8 GHz was 130 (decreasing 29.3 over the last solar rotation). 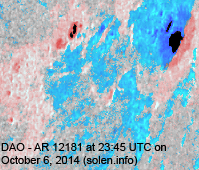 The 90 day 10.7 flux at 1 AU was 134.4. 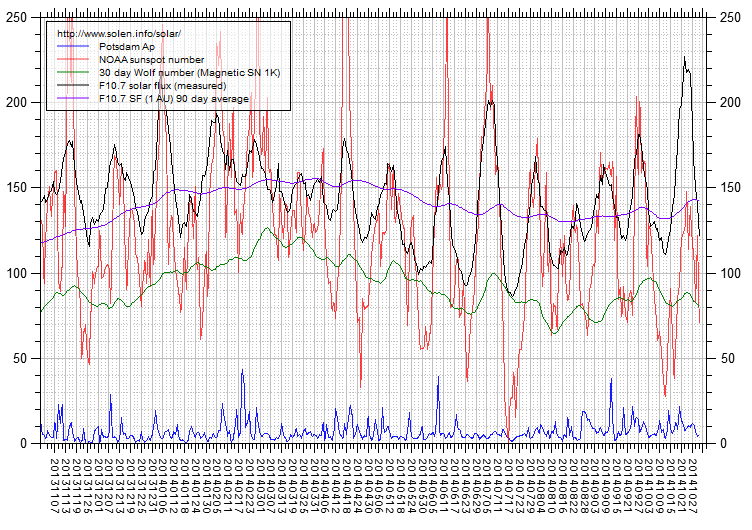 The Potsdam WDC planetary A index was 6 (STAR Ap - based on the mean of three hour interval ap indices: 6.5). 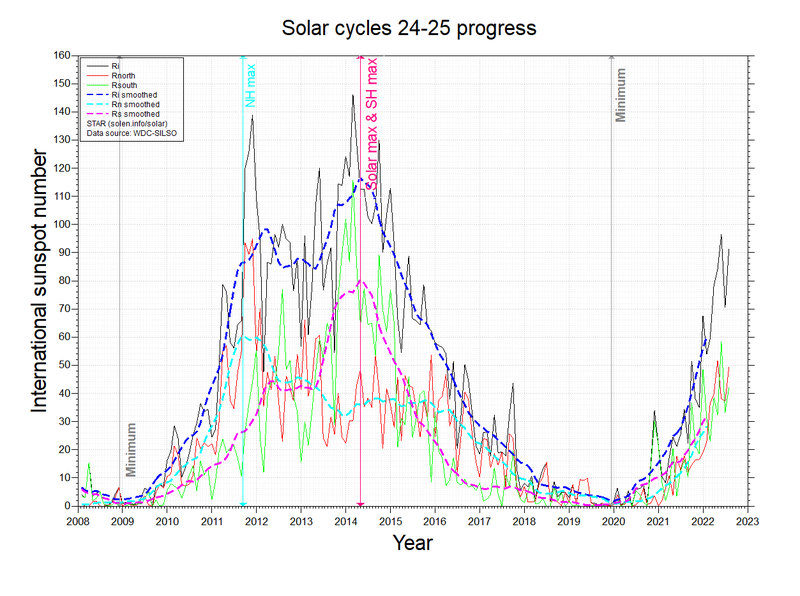 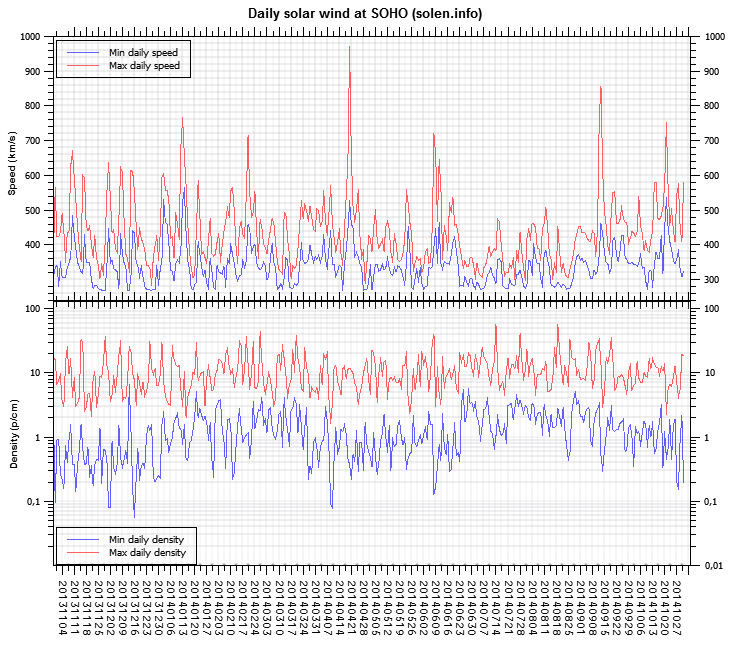 Three hour interval K indices: 32111013 (planetary), 22002212 (Boulder). 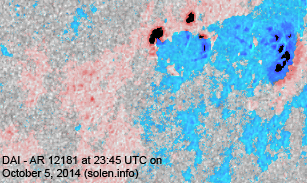 At the time of counting spots (see image time), spots were observed in 10 active regions using 2K resolution (SN: 172) and 10 active regions using 1K resolution (SN: 137) SDO images on the visible solar disk. 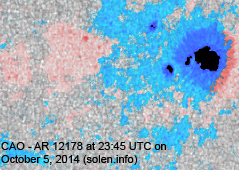 Region 12178 [S01W50] decayed slowly and quietly. 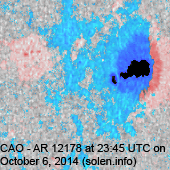 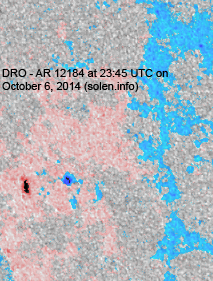 Region 12181 [S12W60] decayed slowly and produced a few low level C class flares. 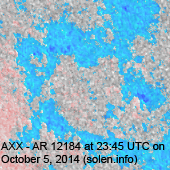 Region 12182 [S13W14] was quiet and stable. 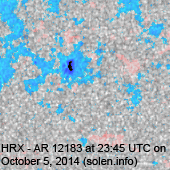 Region 12183 [N13E14] was quiet and stable. 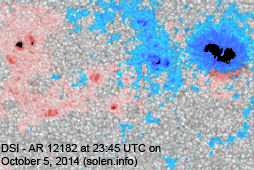 Region 12184 [S22E37] developed slowly as new flux emerged within the trailing polarity area. 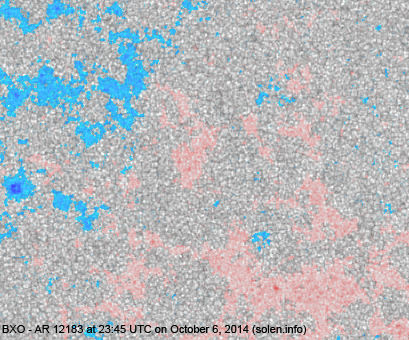 New region 12185 [S13E47] emerged on October 5 and was numbered by SPWC the next day. 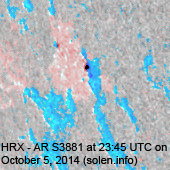 S3858 [N05W35] was quiet and stable. 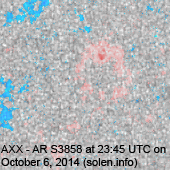 S3875 [N13W04] was quiet and stable. 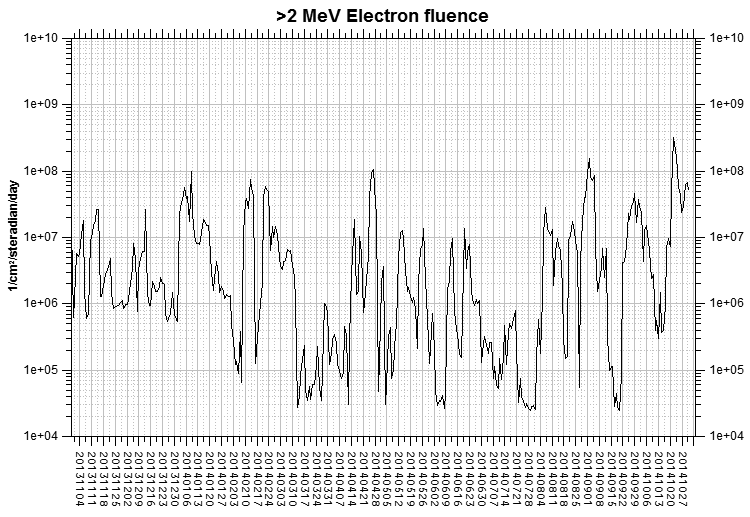 S3878 [S20E09] was quiet and stable. 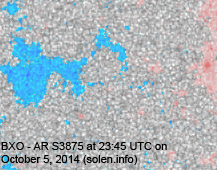 S3879 [N14E47] was quiet and stable.